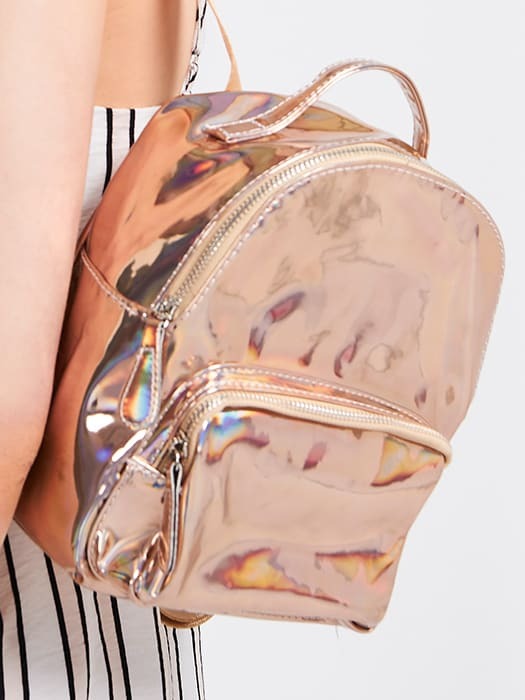 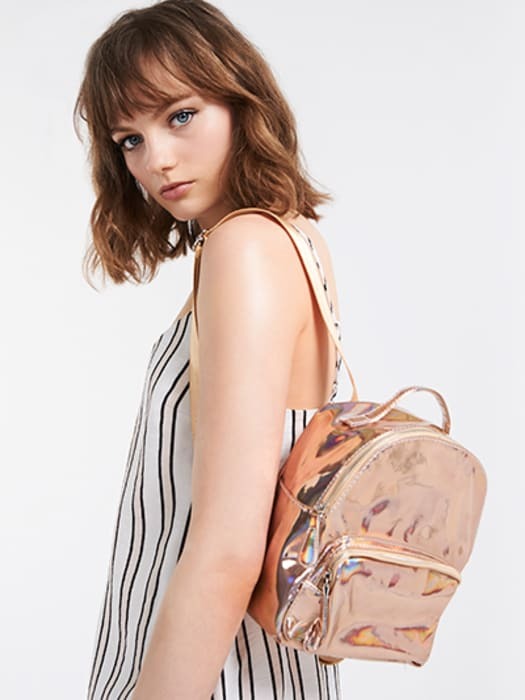 Add a serious blast of bling to your look with our pink PU Holographic Rucksack. 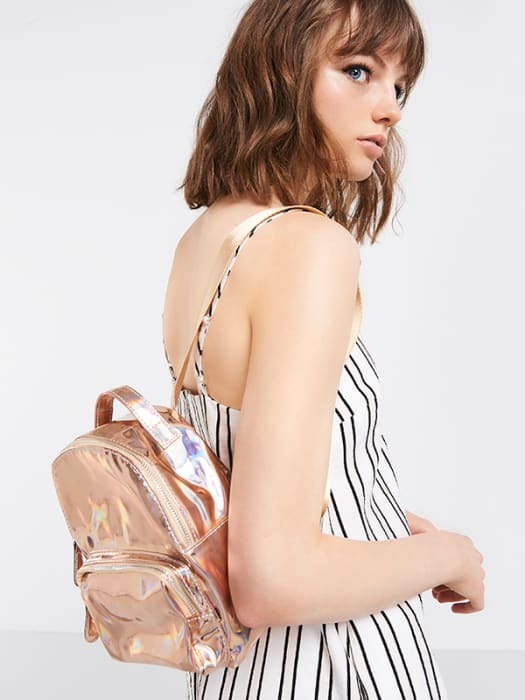 A snap-worthy solution to your storage needs, multiple compartments mean it’s ideal for daily use, while also large enough for a few overnight essentials. 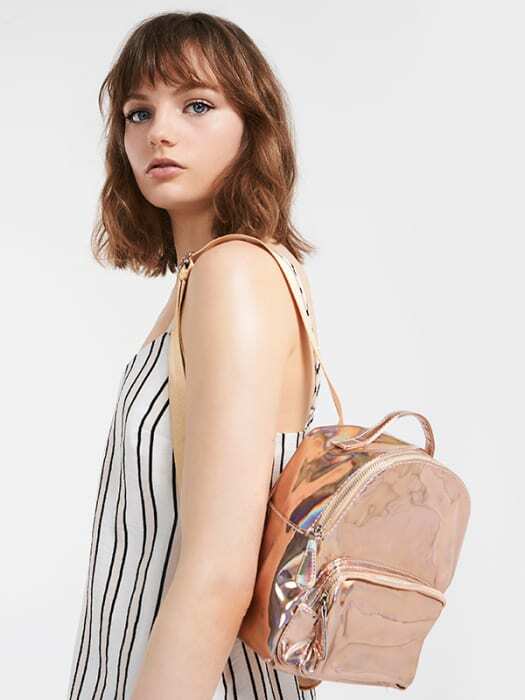 Sling it over your shoulder to get that #OOTD… in the bag.